No one should have to hear a piano recital in Boswell Hall at Walnut Hill. The current instrument is simply too large for the space (seats about 60). Credit to Yinfei Wang on Thursday night, as part of the Foundation for the Chinese Performing Arts annual festival, for controlling it, but points off for erratic Beethoven and a lack of clear closure to much of the music. Wang’s program included three Scarlatti Sonatas (K.87 in B minor, K.430 in D Major, K.9 in D minor), the Schumann Toccata, Beethoven’s op. 101, followed by Scriabin’s Sonata no. 4 and ending with Ravel’s Gaspard de la nuit. My own gasp de la nuit came with the opening notes of the program. There was nothing to do but brace and adjust to Scarlatti on sonic steroids. Not Wang’s fault. Overall, his balance was fine, but the outer two slower pieces, both popular in the repertoire—the B minor potentially revealing a more reflective Scarlatti—were treated with an unusual dose of rubato, weird accelerando, and a sweetness that was more sentiment than reflection. Wang showed more mettle in the Schumann Toccata. He was off to a great start, but as the work progressed he went briefly into auto-pilot mode. Give him credit, I suppose, for being able to go on auto-pilot in this piece without crashing; take points off for abandoning the work during the final phrase. He played it, but he had stopped listening, and was done before he was finished. And that would happen again. Give Wang additional credit for being consistent in his interpretation of the opening theme to the Beethoven; forgive him lack of arc and rhythmic continuity. The first note of the theme was repeatedly separated from the rest of the phrase. You could call it rubato, but such rhythmic treatment affected the ebb and flow of the movement, so when that special moment arrives when there is no music on the beat, all chords just off beat, the magic of a strong (implied) rhythmic foundation not quite there to float the music forward. The second movement had more rhythmic focus. In the slow movement, more lackadaisical treatment of rhythm was to be heard, now in the melody. 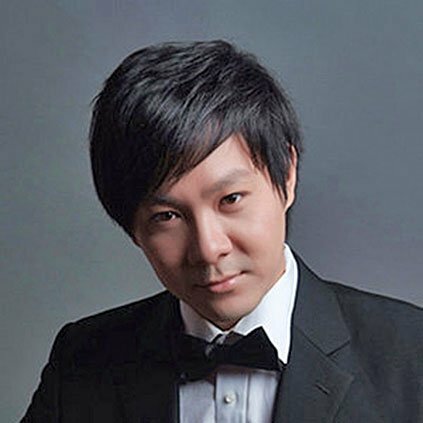 The final movement fared better, but it did not seem that Wang was enjoying much of it, not having fun with Beethoven’s playfulness of rhythm and changes of gear, his charm and occasional tenderness. Credit to everyone for staying for the second half. The Scriabin and the Ravel, difficult as the works are, are right in Wang’s comfort zone, and for the most part challenging enough to keep him focused. Given the acoustical trials, Wang’s creation of color, effect, and ringing harmonies in the Scriabin—both quietly and very loudly—was welcome, as was the softer section of the Prestissimo Volando, where we heard a lovely rendering of that section full of strange modulations, reminiscent of Berlioz. Right after, Wang was once again not 100% in the moment. Gaspard was the best part of the program, a dark exercise in sound management. Wang conjured silver, water, bells, ice, air, and (dark, damp) earth in service to Ravel’s tribute to poems of Aloysius Bertrand. The pianist was in his element(s). The climax of the first piece, Ondine, was all the more effective because it was just slightly understated, a relief. And concentration through the last phrase was full! Wang projected the ostinato death bells in Le Gibet to open the piece, and they ultimately receded into the distance while dark, muffled melody was ushered forth. Voicing was excellently contrasted, and dreamlike. But once again lack of concentration right at the end revealed itself. Scarbo, the real technical monster of the work, was well-executed. There was no shying away from anything pyrotechnical—though more abrasiveness with the hammered motif would have been welcome—and the double climax was superloud and controlled right up to the final measures. Then guess what? The final delicate moments of the work (the goblin disappears!) were played without presence. Instead of being bizarre and macabre in a way Ravel would have intended, it sounded wimpy. Here’s a comment on the comment: zarlino seems less interested in addressing this review’s specifics – which struck me as perceptive, substantial and abundant – than in diverting attention from them to unsupported aspersions concerning its author: lazy, insubstantial, wimpy. As I read them, Mr. McDonald is sincerely attempting to get at musical matters, whereas zarlino merely seems to be trying to get at McDonald.